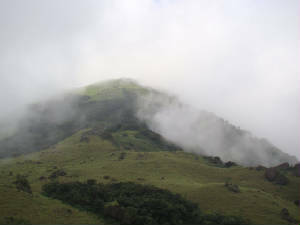 Tadiyandamol peak is the highest one in the Coorg district situated near Virajpet about a 30kms away on the way to Napoklu, Bhagamandala. 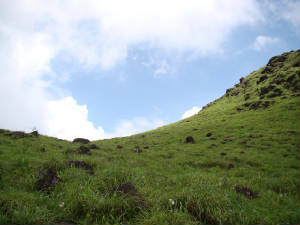 Its height is around 1800 m above sea level and is second highest peak in Karnataka. The Panoramic view from the top of the mountain is awesome! I would suggest you to go to this place in early winter so that you dont miss the view of mist and clouds covering the green mountain. It is one day trek and is not much difficult. You can cover other places near Madikeri like Nisargadhama, Dubare forest, Irupu falls and all if you plan a 2 day trip in a private vehicle. If you are planning for a 2 day trip, you better carry the tents and stay at the top so that you can watch a beautiful sunrise and sunset in a clear day. No food or accomodation is available at the top. Carry extra water since no water source is there at the top but you can find a stream in the midway if you search:). You can find lot many insects and wild flowers all along the way. 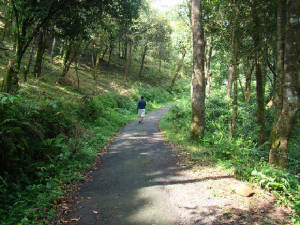 Coorg is the place where you can enjoy the Nature at its best.